Access was founded in 1983 and incorporated in the state of Kentucky in 1992. Access is a customer oriented company and we understand that without our customers we wouldn’t be in business. Since 1983 we have been dedicated to customer satisfaction. We are here to answer any questions you may have. We are only a phone call away. Access is fully bonded and insured up to $2 million liability. Our technicians are uniformed, certified in VoIP phone systems, cellular dispatched, equipped with all the necessary tools, certified in all products and services, and drive company provided vehicles to help provide you with prompt service. Access is qualified in LAN system operations, including category 5 and 6 cabling with fiber optic backbone networking. We have updated equipment to test CAT. 6 cabling to EIA/TIA standards and power meters to test all fiber optic cables. Access wants to ensure that your telecommunications equipment is working to its full potential. We are very versatile and efficient, while still offering affordable pricing. Service is our #1 priority. We look forward to serving you. Access is committed to serving customers with quality telecommunication systems and fast, courteous, affordable service 24 hours a day with a two-hour maximum emergency response time. An Access representative will help answer all questions from initial consulting and design to complete communications systems, voice mail, automated attendants, and network wiring with fiber optic backbone. We are responsive to customers’ wants and needs. Access offers competitive warranty on all equipment. An optional maintenance agreement is available after 1 year to cover labor, if requested. 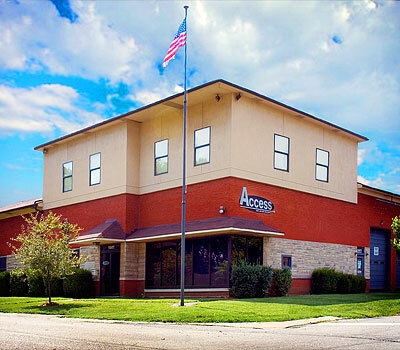 Access is a member of the Better Business Bureau and has earned a reputation over the years for providing outstanding quality, competitive pricing, and professional service on telecommunications installations and equipment. Upon request, we can provide a listing of customers who use systems installed by Access. You may contact them to get a reference regarding our service and their satisfaction level with our company. Access Voice and Data Solutions excels in telecommunications, video surveillance, structural access systems, and VoIP business telephone systems in Louisville, KY. We also repair VoIP Systems, move VoIP Systems, maintain VoIP Systems, and monitor VoIP Systems. We also have the latest security surveillance offered by Speyco. Contact us today for a free quote. You can always stop by our office located at 1441 Lincoln Ave. Louisville, KY 40213.